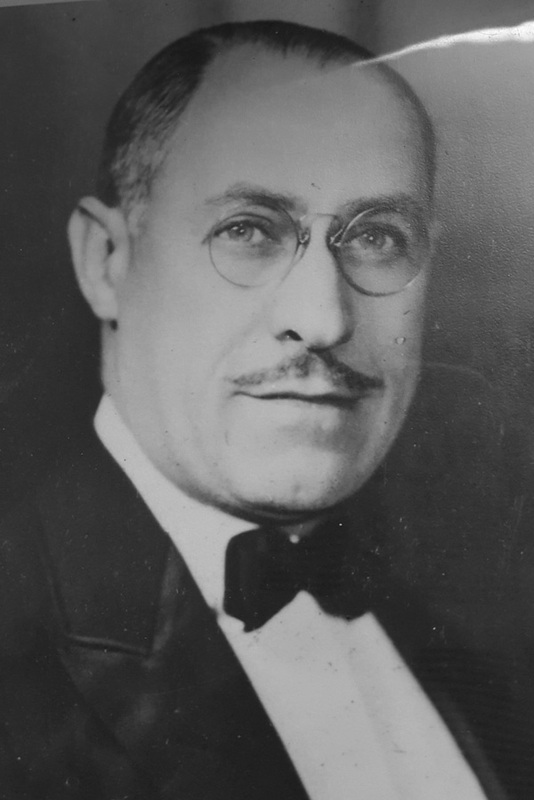 Benjamin Buchsbaum rescued Jews from the Holocaust by offering to sponsor them, including housing some in his home. 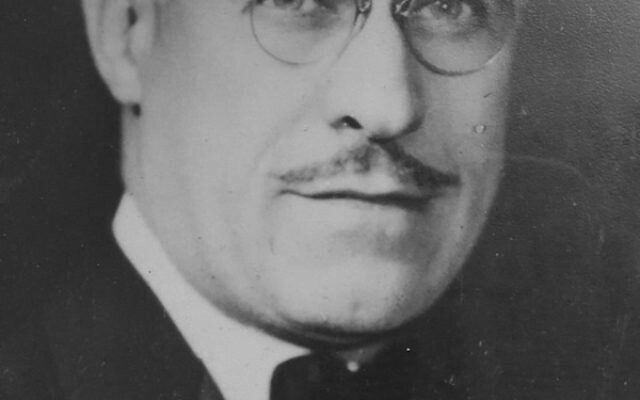 During World War II, Benjamin Buchsbaum saved Jews in Europe by bringing them to America and even housing strangers in his Philadelphia home to prove to government authorities that they would not be a burden to the country. His selfless actions were preserved through a series of 70 letters Buchsbaum exchanged with those he saved, which were placed in a red leather binder. “He even saved the carbon copies of the letters he sent, so we have responses back and forth,” said Buchsbaum’s granddaughter, Regie Roth of Kendall Park, in a phone interview with NJJN. That binder was recently donated by Roth and her family to the United States Holocaust Memorial Museum in Washington, DC, which sent a curator to NJ to retrieve it. The museum is planning an exhibit in the spring of 2018 on the American response to the Holocaust and is interested in including the letters. Calling it “a story of selfless heroism and humanity in its highest form,” Roth said Buchsbaum received inquiries from relatives, friends of relatives, and those friends’ relatives in Hungary, Germany, Poland, France, Austria, Romania, and what is now Tanzania. In all, 41 people reached out to Bauchsbaum between 1938 and 1946 and he submitted affidavits guaranteeing that he would sponsor each one. “He never turned anyone down,” said Roth. His process involved submitting affidavits for everyone, agreeing to sponsor them and find them housing and jobs, as well as turning over tax returns to prove he had the financial means to support the refugees. In addition, Roth said he appealed to local judges and businessmen to attest to his moral character. “My grandmother, Katharine, was by my grandfather’s side as he dealt with the requests,” said Roth, who is president of Anshe Emeth Memorial Temple in New Brunswick. Her grandparents remained in close touch with them all until his death in 1970 and hers in 1995. For Roth the letters were something of family lore. Although she had heard about them her whole life she had never actually seen them; they had been given to her brother by their grandmother shortly before her death. The binder accompanied him through several moves before it was located by the siblings this fall in his rented storage facility. An aunt told Roth that Buchsbaum saved 27 people — two he arranged to bring to what was then Palestine. Roth said she is hoping to find all who are still living, or their descendants. Roth said she thought her grandfather was initially contacted by a cousin in Vienna who had no one else to turn to. Buchsbaum’s parents had immigrated to the United States in the 1880s, but they were the only members of their families to leave Europe. After bringing Walter to live with his family, Roth said her grandfather asked the teen if there was anyone he would also like brought over; soon Walter’s best friend, Kurt Loebel, arrived in America with a suitcase, fiddle, and $30. Walter, who died two years ago, became a successful electrical engineer who wrote 13 books on computers and circuits long before most people had heard of either, and was a pioneer in color television technology. Loebel attended Julliard and the Cleveland Institute of Music, where he taught from 1959 until his death in 2009, and was first chair violin in the Cleveland Orchestra for many years. His son, David, is a renowned conductor and professor at the New England Conservatory of Music. One of the most touching letters came from a man who had escaped from Germany to Philadelphia, leaving behind his wife and two daughters. A local rabbi put the man in touch with Roth’s grandfather, who managed to reunite the family in the United States. “We’re now in contact with that family who lives in Pennsylvania,” said Roth. “I found a daughter who was 12 at the time this happened and put my mother in touch with them, and now the museum is in touch with them.” Roth hopes to find all the families, and the museum is searching ship manifest records and working with Yad Vashem in the effort. If we consider the talmudic saying, “Whoever saves a life, it is considered as if he saved an entire world,” 27 worlds have Buchsbaum to thank for their existence.